Conaway Motors can help with your car repair in Marysville. Spring and early summer can bring pleasant weather which invites individuals and families out to parks, walking trails and other venues a little farther from home than feet and bicycles can take you. But even the most pleasant trip can turn into a disaster if your car breaks down along the way. It is no fun to be stalled alongside a busy highway. We are just a phone call away when you are in the Marysville area. 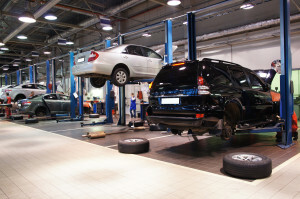 Our trained mechanics can diagnose the difficulty, create an estimate, and quickly have you back on the road. We won’t promise to salvage your day out, but we do have the expertise and tools to put vehicles into good running order. Whether a road trip is local or whether you are driving through an area into a new place, we all know the pain of being stuck somewhere because a part has broken on a vehicle. A trip might be for pleasure or for business, but a vehicle breakdown will certainly cause difficulty with travel. It can be especially unpleasant if you are far from familiar places – but it isn’t much more fun when you are in the middle of local obligations. Conaway Motors can help with your car repair in Marysville. Just give us a call at (425)905-2424, and we will do our best to get you back on the road. Spring doesn’t last long enough to spend it waiting for a vehicle to get repaired – we know that the place you want to be is out on the road, heading for new places to explore and taking care of all the things you need to do.